After paying, click "Return to Merchant" to go to the download page. Sergey's love of animals took to the skies when he produced Flights of Fancy. 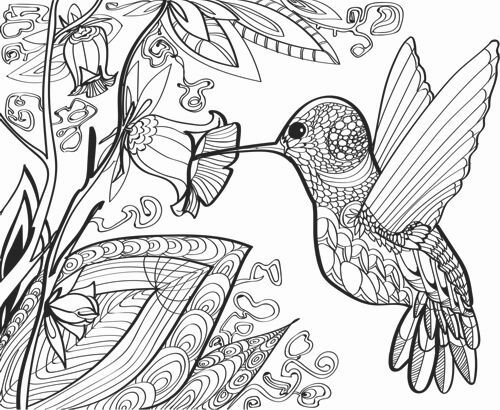 This *printable* coloring book is teaming with gorgeous birds and butterflies that will keep your spirits and creativity flying high as you fill in these beautiful designs. The e-book comes as a standard PDF file which you can download immediately after purchasing. The illustrations are designed to print on standard 8.5' x 11" paper. All pages are in a horizontal or landscape orientation, which adds to the feeling of openness and expansiveness in these beautiful scenes of nature. There are 30 designs, with an nice balance of exquisite detail in the main figures, with more open areas in the background scenes. You get a nice mix of coloring technique, and the primary character are designed to really pop out from the backgrounds. 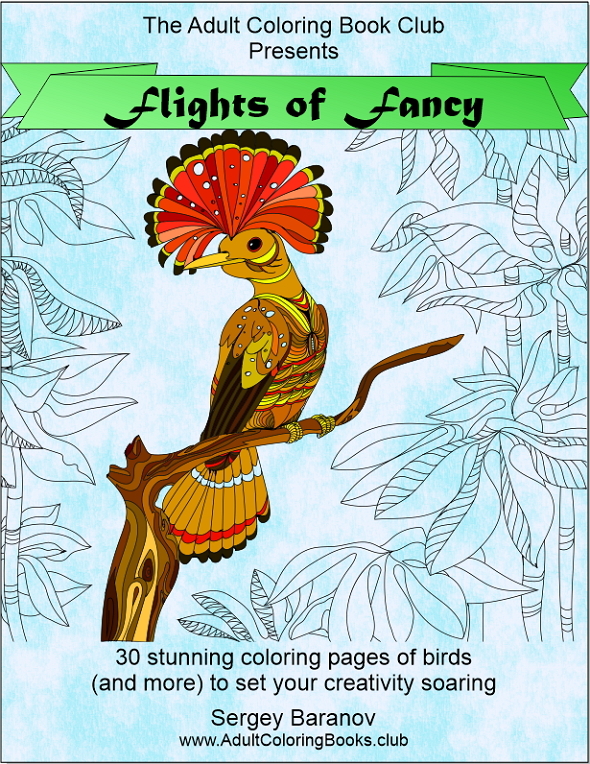 There is something for everyone and I know you'll love coloring these lovely images. Since it's a printable book, you're always free to print and color multiple versions. Or print a few copies of one image and have a coloring party with friends and family. It's fun to see how differently the same image can be done. We even like to print on a light colored or slightly marbled paper for a little different effect. Don't be shy - try out all your ideas! 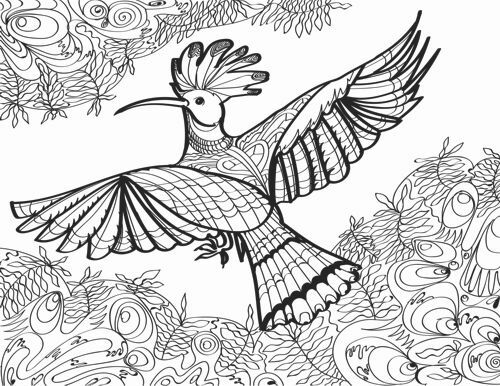 These coloring pages will provide hours of creative, relaxing enjoyment.